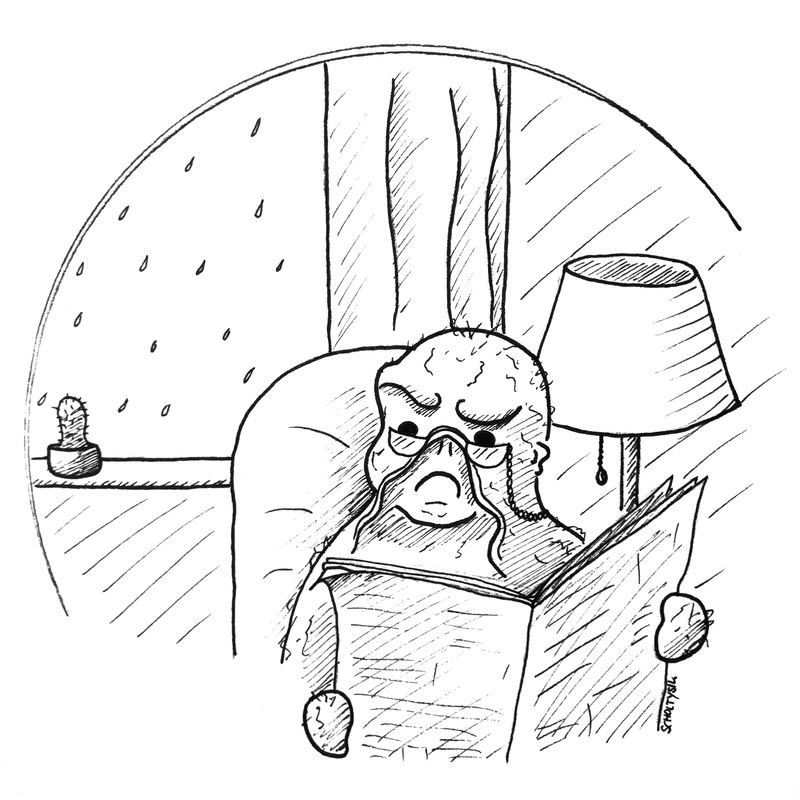 Bernie stopped reading his Sunday newspaper when the first raindrops drummed against the window. A lightning illuminated the sky and loud thunder rolled over the fields. “Great? !”, the swamp thing sighed, “All my veggies will be destroyed.”. .